This is part 1 of a 5 part series that both explains Pro Tools 12’s features and reviews the software. Each week, a new part will be released, leading up to the overall review in part 5. Enjoy! So here I was, sitting in front of a DAW that was constantly locking up and spitting out “AAE Error -9173” within 10 seconds of pressing the space bar – even on moderate sessions. 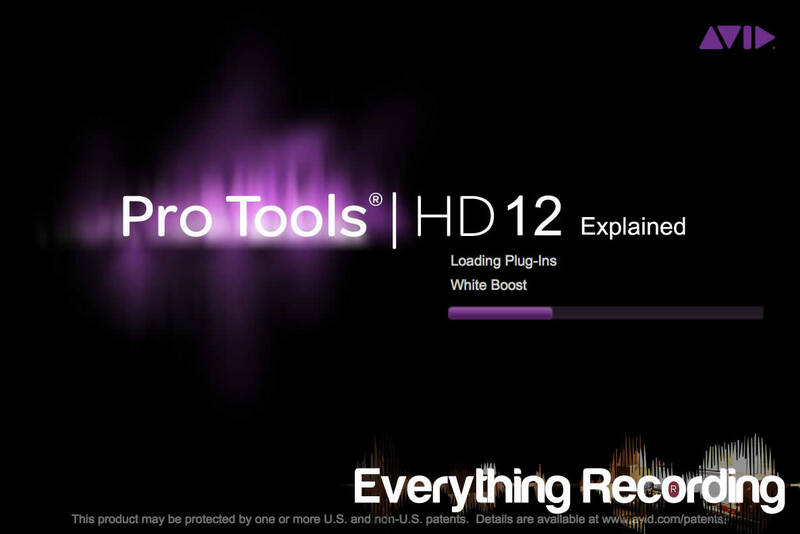 The DAW in question was Pro Tools HD 11.3. The hardware I was running was hardly the problem. After all, I had the latest and greatest retina MacBook Pro running HD Native through a Sonnet Thunderbolt chassis. Countless calls to tech support from both Avid and Apple subtly suggesting the other is at fault offered little help. I was left sitting in the studio with my cursor hovered over the “Buy Now” button of Logic. After 14 years of being a die-hard Pro Tools user starting with Pro Tools LE 5 and updating to nearly every major version ending up in HD11, I was at the end of my rope. Part of me didn’t want to switch due to the years of experience and familiarity; but the other part could not handle another day on a system that embarrassed me in front of clients and doubled the time mixes should have taken. I did however have one more version of Pro Tools out there to try, so I figured, “What do I have to lose”. Two years ago, Avid kicked off Pro Tools 12.0 with more economical changes than operational and the subscription based service scared some users until pricing and perpetual licenses were announced. At first, nearly no changes were offered as far as functionality other than a few new I/O enhancements and an updated Application Manager. As time had passed, other DAWs had popped up, most of which started offering features that were making many long time Avid users feel the “itch to switch”. The phrase “I’m going to Reaper” started popping up on various forums. It had seemed that the Pro Tools ship was starting to take on water, with users jumping overboard. Even I was looking over the hand rail judging just how bad this jump was going to hurt. Just when it looked like the Avid ship was sinking with version 12.1, subsequent releases started firing off updates left and right – each with major changes to functionality and features. Press releases starting showing off improvements and versatility much quicker than in the past. Avid claimed this new streamlined method of rapid releases was due to the new subscription model. Either way, it seemed someone started bailing water out of our metaphorical ship. This brings us up to Pro Tools 12.7. Since Everything Recording has not reviewed the DAW since HD11 (Review Link HERE), we will focus this series on the changes of 12 all the way up to the current 12.7. Let’s see if the leak is plugged. The biggest change in the Avid business model has to be the “All Access Plan”. Similarly to the Waves update plan, Pro Tools Standard (non HD) and HD can now be leased and tech support can be accessed during the duration of the lease. Just be warned, even though tech support is being paid for, it is still painfully slow. I had to call several times to get a simple answer back. You’re almost better off buying the software through a retailer like Sweetwater and depending on them for help. I had a simple answer on a Digilink License solved within 2 hours with Sweetwater – It took Avid 3 days. Even though the customer service is still lacking, the subscription based service is actually a useful option. In some cases, as the project progresses, some tools are needed while others can be scaled back. The All Access Plan even includes a lot of extra plugins during the contract. The ability to choose which version for a period of time helps smaller studios that may need HD features temporarily. The only shortcoming in the subscriptions is that HD subscriptions cannot be bought monthly, but perpetual licenses are available. Just be prepared for sticker shock. At the time of this review an HD perpetual license is $2499. It may sound like a huge price, but go price out other industry standard DAWs like Nuendo. It’s not necessarily a special club for the rich, but it is a high end version of a very widely used tool that has a more cost effective version as well. It would be helpful however if discounts on multiple licenses or subscriptions were offered. The way HD software is purchased solely now is due to the new separation of Avid hardware and software. Now extra HDX cards can be bought at a lower price because Pro Tools HD licenses do not have to be purchased as well, but because of this break up in hardware and software, an extra $300 Digilink license will have to be purchased. Even though this may seem like Avid is bleeding your wallet by making you buy a license to use their own hardware with software, they have offset this cost by dropping the price of Avid interfaces. Although separating Pro Tools from hardware is great, it is sad to say that exchange options are no longer available. Instead, subscriptions can be extended in exchange for trading in old hardware. In order to better accommodate the new structure of Pro Tools’ constant changes in software and managing subscriptions, the Application Manager has been completely overhauled. The older version in 11 would usually only let you know that a new version of “software” was available. It really didn’t give you much options for action. Now the new and improved version handles subscription info, alerts you to any updates, and manages all downloading and installation of any updates. It even has a news section that alerts to new deals and news in the Pro Tools universe. Despite the Manager being a huge plus and helping avoid having to track down and install updates manually, an option to prevent it from opening at startup would be nice. It is easy enough to check every once in a while manually in most cases. On top of the Application manager, Pro Tools now has become smarter with plugins used in a loaded session but not installed on the user’s computer. If a plugin is detected that is not in your stash, Avid will search their Marketplace and if available, will offer purchasing and installing through Pro Tools without having to restart the program. This feature can also work if a new plugin in the Marketplace just wants to be purchased or rented. Yes, the Marketplace has a decent selection of available to purchase plugins, but don’t expect them to have them all. This would be a daunting task but as this Marketplace expands, more manufacturers will see the benefit to customers. Alternatively, since it has now been proven that Pro Tools can handle automatically adding plugins purchased in the Marketplace, this feature should extend to any plugins installed while Pro Tools is running. I get this encourages to buy through Avid Marketplace, but like was stated before, not all manufacturers are there yet. Upon booting Pro Tools, the first new face to greet is the Dashboard that takes the place of the old Quick Start Dialog. Dashboard is a cleaner more refined window that allows for creating sessions at a glance as well as opening and saving templates. In version 12.5 and above the Dashboard also serves as the gateway for the Cloud Collaboration feature with the “Projects” tab. On top of easy session creation and management, Pro Tools 12 now supports entering metadata into sessions. This is helpful when working with multiple engineers to leave session info, I just wished it was slightly more expanded with an option for session notes. Honestly, the Metadata section is sort of buried in its current state and would be even more useful if integrated into the Dashboard (i.e. incorporating the ability to enter metadata when creating the session initially).